A Connecticut Yankee in King Arthur's Court by M. Twain. Worldwide literature classic, among top 100 literary novels of all time. 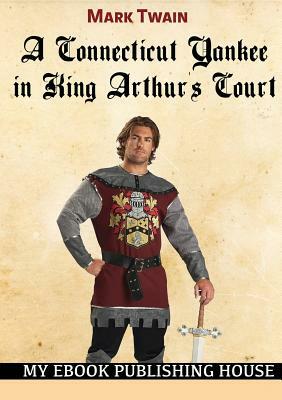 Transported 1300 years into the past, Connecticut engineer Hank Morgan finds himself in Camelot, the legendary home of King Arthur and his fabled Knights of the Round Table. Becoming a friend and adviser to the King, Hank encounters Merlin, Lancelot, Guinevere and all the characters from Arthurian legend... and comes into conflict with many of them. Mark Twain's classic novel is an adventure, a satire and a study in democracy. The novel has been filmed many times and retains its ability to captivate new readers.